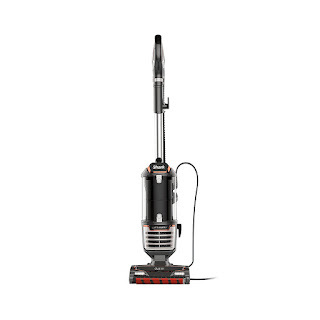 Today only, while supplies last, get this Shark DuoClean Upright Vacuum for ONLY $159.99 (Retail $259.99)! A compact 2-in-1 Lift-Away upright vacuum that allows you to quickly release the canister and lift the wand to easily clean hard-to-reach above floor areas, like blinds, ceiling fans, and counters. Duo Clean Technology includes a bristle brush to deep-clean carpets, and an additional soft brush roll to pull in larger particles and directly engage floors for a polished look.